Stunning and spacious modern , open living 3 Bedroom Unit. Unit is fully furnished except for the room for rent. Built in in all rooms , and I use the 3rd room to get ready in so the bathroom is always available for use. In the process of decorating this unit - so looking for someone who is clean ,and enjoys a really nice looking place. The balcony is also breath taking with lovely tranquil views on a weekend. 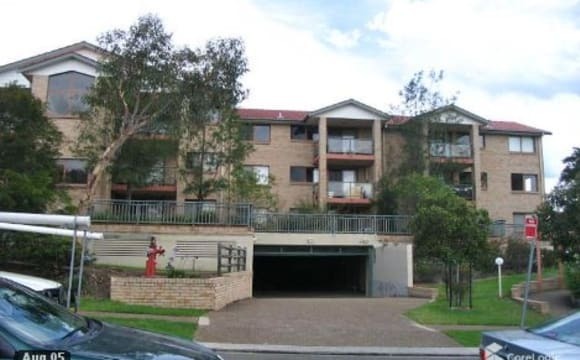 Also secure complex with remote control garage - walking distance to shopping centre and bus stops as well. Close drive to Train stations. Rent is $300 per week which includes water/Internet and secure garage . Electricity bill is split between 2. THE ROOM: • large bedroom available in a private annex; • luxury queen Sealy Posturepedic pillowtop mattress, with brand new waterproof mattress protector; • extra storage in drawers underneath bed; • bedroom door can be secured by private key lock and windows can be double-locked; • huge triple built-in mirrored wardrobe; • giant shelving unit with desk and room for TV; • HD TV antenna port and plenty of electrical power points. THE PROPERTY • stylishly decorated and fully furnished (including beds; excluding linens); • modern kitchen with brand new appliances and utensils; • comfortable lounge room; • spotless bathroom with tub and shower; • solar hot water; • full laundry with washer and dryer, plus outside hanging space; • reverse cycle air-conditioners in every room; • alarm system and security flyscreens in every room; • NBN high speed WiFi internet; • street parking available in safe, quiet cul-de-sac; • one-minute walk to bus stop; • walking distance to shops; • quiet bush setting in a safe neighbourhood; • backs onto quiet council reserve; • access to council reserve via leafy courtyard. THE DETAILS • the adjoining main house is owner-occupied; a spare room inside the annex is used for owner’s storage space; • the second bedroom in the annex is already occupied by your housemate - a quiet young uni student working part-time; • the property is a non-smoking, childfree, petfree environment; • single females only need apply; • LGBTQIA+ friendly; • all ages welcome; • the property is unsuitable for guests, and is a respectful shared environment with strict noise limits (eg. no use of the washer/dryer/shower etc after 10pm), hence evening/night shift workers need not apply; • the bedroom is available for casual lodging (long term preferred). There will be no formal written rental agreements, leases, signed contracts, receipts issued etc. Centrelink recipients need not apply as rental certificates cannot be issued; • a formal written reference must be supplied. 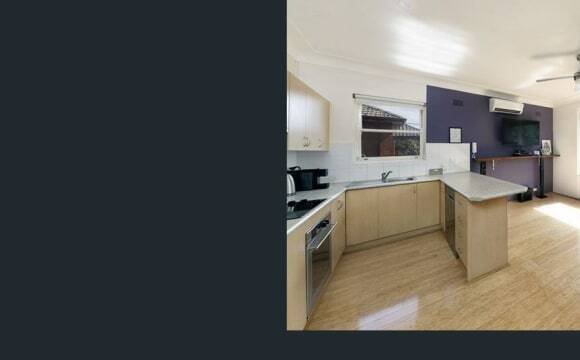 THE COST: • $225 per week (first fortnight’s lodgings are required before moving in; and every 7 days thereafter via direct debit); • bond = 4 weeks lodgings; • water bill is included in lodgings; electricity is additional; • optional NBN high speed WiFi internet available upon request for additional monthly fee of $35. If this arrangement suits your lifestyle, please get in touch to arrange a viewing time. Thankyou very much! Air con ,garden views,furnished,linen ,Foxtel,Stan,stranded breakfast ,washing,basic toiletries . 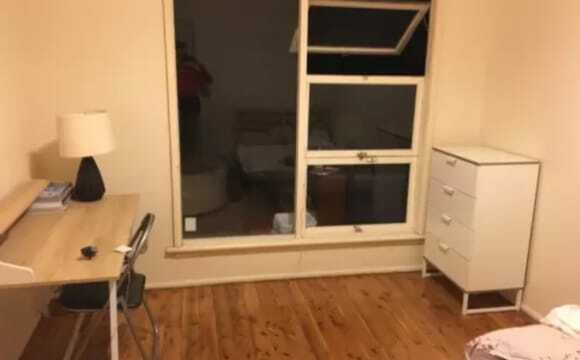 Great location on a quiet street, 12 mins walk to Como Train Station. 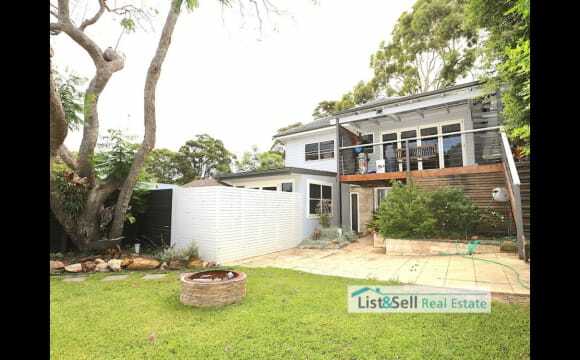 Close to a beautiful reserve on the Woronora River (5 mins walk from the house), as well as a general store, cafe etc. Large backyard with grass and garden beds. 35 min train ride to Central, 10 mins to Hurstville, and 3 mins to Sutherland. There are 3 private bedrooms with built in wardrobes (two currently occupied), and two shared living areas, a kitchen, dining area, two bathrooms (one with a bath and shower, the other doubling as a laundry). There's also a sheltered outdoor sitting/eating area, a big shed/garage and basic gym equip. Water and Wifi are included in the rent. 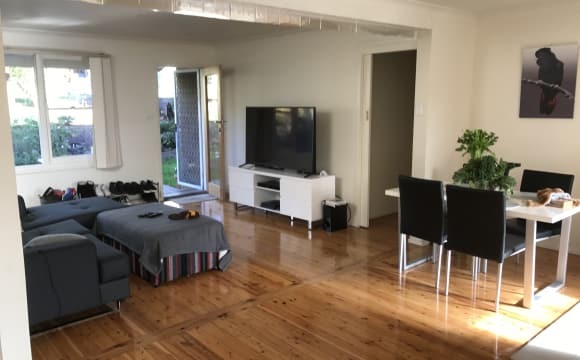 Electricity is split between housemates (the bill for the last quarter was $371) Rent is $235 per week for Room 1 and $230 per week for Room 2, paid fortnightly in advance. Bond is 4 weeks rent. Big double storey house with lots of light and living rooms and friendly flatmates. lots of freedom in the house. Sunny apartment only a short walk to the train station and local shops and restaurants. Quiet street with plenty of on street parking. Bedroom is 3.2m x 2.7m with built in. Bed can be provided or bring your own. Bills included: Electricity, internet. A 3 bedroom villa close to the station &amp; Sutherland farmers market every Saturday. I have an ensuite so the main bathroom is yours. Our gorgeous little gem is a newly renovated three bedroom, one bathroom with a light filled living area, fresh hardwood floorboards, a manicured backyard, and seperate little movie room! It also has a large deck for entertaining and a huge amount of under house storage. We have two available bedrooms which are both spacious and have built-in robes and carpet. One is slightly bigger than the other, so you could fit a desk if you were studying or just wanting a little extra space. You will have unlimited WIFI, all bills included in the rent and two pretty awesome housemates! 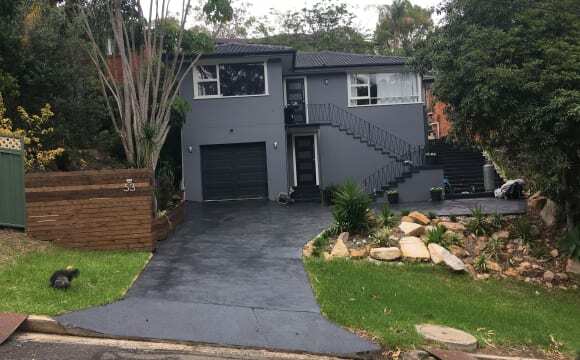 The property is just an 8 minute walk from the train station and it's an easy 30 minute commute to Sydney CBD, on one train. There is a local pub (the Como Hotel) just around the corner and several large shopping complex's and supermarkets within a 10 min drive. For those who enjoy being by the water, the Marina is an easy 15 min walk and Cronulla beach is an easy 15-20 mins drive or train ride. The suburb itself is very quiet, safe and leafy - with several parks, recreational spaces and swimming spots nearby! Are you looking for a place where you can call home? 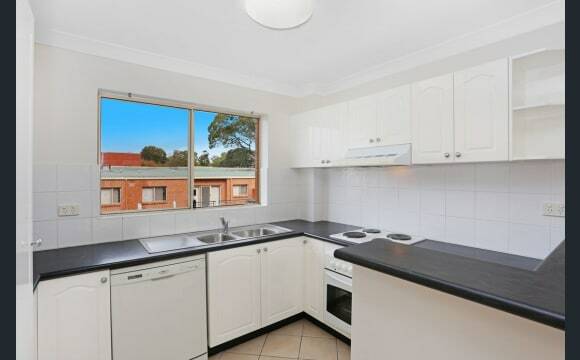 Two story townhouse with 4 bedrooms, 2 bathrooms Less than 5 mins walk to Como train station. 30 mins to Central Station. Suits: One Female, international student. 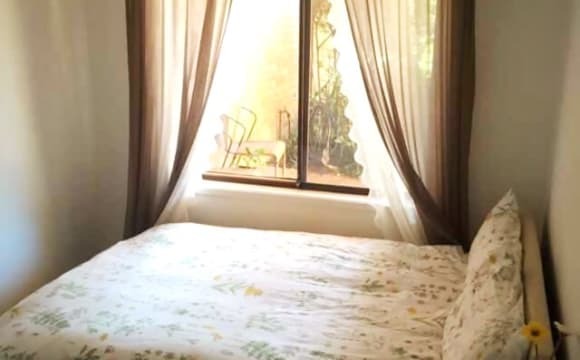 Includes: High speed wireless internet Electricity; water bills Own room Furnished room Bathroom share with one girl Available End of April Rent $ 250 + bond $500 I also have another room. Please check it out. Does not suit: party; untidy girl, couple or smoker Pet not allowed About us. There is myself and my wife live here. We have three little dogs but they live outside the house. For more information, feel free to contact me. Hello there! We are looking for a single person to share our beautiful home. -Private room with shared bathroom -Approx 7 mins walk to shops and train station -Sunlit bedroom with mirrored built-in robe and leafy outlook -Stunning bathroom with separate shower and bath -Plenty of off-street parking -A backyard with a built-in bbq station -Not suitable for couples We are looking for someone who is neat and tidy, easy to get long with, and knows how to clean up after themselves. Ideally someone who is respectful of the property and considerate of others. We have a friendly indoor cat and it’s quite important that the housemate likes cats. Positioned peacefully, on the Stapleton Avenue side of the complex, is this modern two bedroom unit. Featuring generous proportions throughout, air-conditioning and private positioning that's close to everything in Sutherland, this unit is a must inspect! Property Features: - Spacious air conditioned living/dining leading out to large private balcony - Modern kitchen with quality appliances including dishwasher &amp; brand new stove top - Good sized bedrooms both inc. mirrored built-ins. 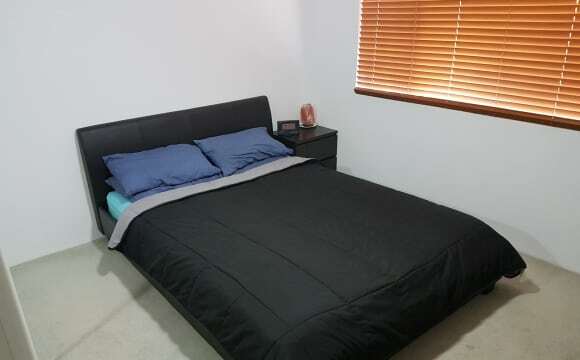 - Full main bathroom including separate bath &amp; shower - Internal laundry with included dryer &amp; extra cupboard space - NBN ready property (FTTN) - Walk to all Sutherland has to offer including shops, train station &amp; schools You will get the single room for only $220 with water and internet included. Electricity bills will be shared. 2 weeks bond. Female preferred. Students welcomed. Ive got a large unfurnished bedroom with en-suite and built in mirrored wardrobe that’s available $240 a week for someone young aged 18-30, who works full time, is neat &amp; tidy and contributes to keeping the house clean, someone who doesn’t bring a party home, someone who is mature and responsible with making sure rent is paid and contributes to the electricity bill when it comes. 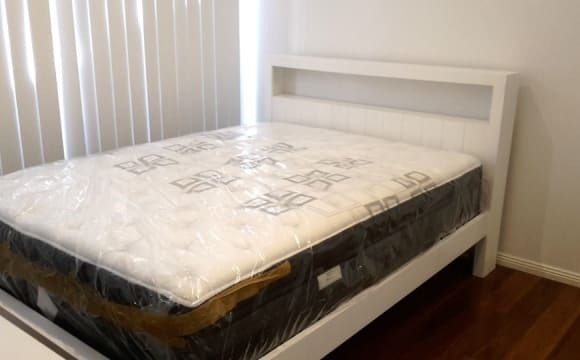 Rent is weekly $240 each Bond 4 weeks rent $960 Electricity bill go half’s wifi &amp; Foxtel available $49.50 a month if u want The bedroom is unfurnished heaps of room for queen size bed a desk and bedside drawers. The rest of the house is pretty much already fully furnished but any furniture that your bringing may fit other wise we’ll work something out we’ve got the garage downstairs that we can use to store stuff. There is two easy going guys you will be sharing with, both working but we find time to catch up and have a beer. Bus stop at the front door , train two mins away, and that makes the city 20 mins away. Parking can be made available inside the property but not under cover. Quiet neighbourhood during the day, power , water, internet included in rent.house rules apply people. Room can be furnished or not , your choice, if you are easy going and like socialising once in a while you will like it here . Hope to hear from you.